MLA '18 Reviewer training video now available! You will rank your preferred presentation format. Abstracts not accepted in your first choice presentation format will be considered for your second. You may choose to submit to only one presentation format if you do not wish to present your abstract in any other format. Abstracts for papers, posters, and lightning talks are to be submitted using MLA’s online abstract submission site. You may continue to make changes to your abstract until the submission deadline, which is October 10, 2017, at 6:00 p.m., central time. There will be no extensions of this deadline. You are encouraged to submit your abstract before the deadline to avoid the last minute rush and allow time for technical assistance, if needed. New this year: when completing your submissions, please include results and conclusions (if complete). These will be included in the peer review process. See the question below for more information on adding results and conclusions after the submission process. For the author block, please be complete and accurate with author information. If you need to update author information, you may return to the abstract submission site to make the necessary changes. The site will be closed to further updates after 6:00 p.m., central time, on February 20, 2018. Yes, you may enter your results and conclusions now. Results section may not exceed 100 words, conclusion section may not exceed 100 words. New this year: Reviewers will be sent all sections of your submission (objective, methods, results and conclusion). Is the MLA Research Section going to be giving awards in 2018? The MLA Research Section gives out several awards recognizing those paper and poster presenters whose work demonstrates high-quality research, and they will continue this for the 2018 meeting. All accepted research papers and posters will be indicated with a symbol in the Official Program. The submission site will ask if you want to be considered for the Research Awards. Criteria used to assess research projects and the process used to judge projects are created by the MLA Research Section. By February 7, 2018, 6:00 p.m., central time, review and update your abstract information in the Conference Harvester. This update must include unblinding any sections of the abstract, if needed. Poster abstract titles cannot be changed after the February 7 deadline. -Upload your poster file for online viewing by attendees. -Make any final updates to your abstract, adding results and conclusions if you did not include them in your original submission. All parts of the abstract (objectives, methods, results, and conclusion sections combined) may not exceed 400 words. -Download your poster QR code. The 2018 posters will be shared on the ePoster gallery and in the MLA ’18 app. Please include this QR code on your printed poster: Attendees will be able to scan the code at the meeting to view the poster in the app. Before the meeting, you will be notified to log in to the Conference Harvester and upload your presentation slides (typically, portable document format [PDF] or PowerPoint files) by May 11, 2018. You will have an opportunity to update your slides onsite in the speaker ready room if the information on them has changed. Each paper and lightning talk session will have a moderator. Moderators keep the session running on schedule. A call for Moderators will be issued in January 2018. Moderators receive guidelines to assist them in running the session and staying on schedule. Within two days after the event, program sessions may be heard online with PowerPoint files, provided that the presenters give recording permission. What are special content sessions? Special content sessions are not an opportunity for vendors to showcase new products or services. For information on advertising and sponsorship opportunities at the 2018 meeting, please contact Barbara Redmond. 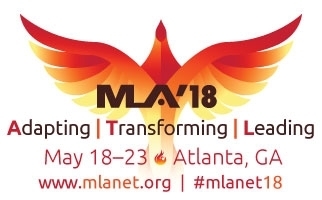 How many special content sessions will be conducted at MLA ’18? We plan to accommodate up to 10 sessions. NOTE that there were many more applications than could be accommodated at MLA '17, so applicants should expect the process to be competitive. Who can submit a special content session application? Any group can submit an application (e.g., an MLA section, a special interest group [SIG], or chapter). Informal groups—for example, "nine librarians interested in team based learning" or "a group of librarians from a library that think they have an innovative way of doing something"—are also encouraged to apply. The 2018 National Planning Committee (NPC) encourages groups to work together and cosponsor sessions. What are the costs for a special content session and how do I pay for them? How do I submit a special content session application? Applications for special content sessions are to be submitted by October 10, 2017 using MLA’s online submission site. Since the application requires some writing, it is suggested that the application be prepared in word processing software and then the content be copied and pasted into the online submission site. How do I blind my submission for a special content session? Volunteer reviewers will score the applications using stated criteria. Final selections will be made by the 2018 NPC Program Planning Group: Molly Knapp, AHIP, Joey Nicholson, Brandi Tuttle, AHIP, Susan Steelman, Meredith I. Solomon, AHIP, and Montie L. Dobbins. The primary contact for special content sessions will be notified of acceptance or rejection around December 18, 2017. You will be notified of the precise date and time of your session no later than the end of December 2017. Additional audiovisual or other special setup needs can be requested through the Conference Harvester and are due February 20, 2018. Individuals presenting at or moderating a special content session must be registered for the meeting. Registration opens in January 2018. Accepted special content sessions will be uploaded in the Conference Harvester. By February 20, 2018, the primary contact must log in to the Conference Harvester and ensure the program title and descriptions are accurate and add presenter, moderator, and facilitator names and bios. Include photos, if available. The title will appear in the printed program. The title, description, presenter names bios, and sponsoring groups will appear in the online meeting planner. 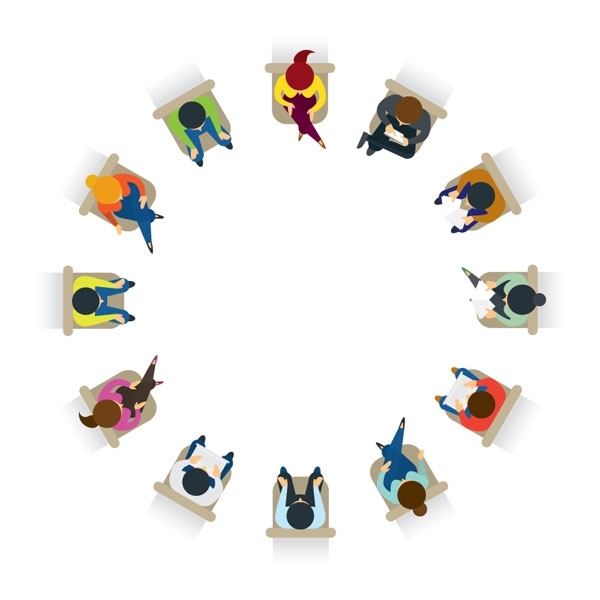 The online meeting planner is used by attendees to help them choose which sessions they want to attend. The planner offers keyword search which examines all presentation information, including session title, description, presenter names, and bios. Be sure to carefully proofread your entry, especially names and titles, to ensure all is accurate. The primary contact for the session should contact the speakers or panelists and obtain copies of their slides or presentations. The primary contact should upload the slides in the Conference Harvester by May 11, 2018.